What’s better than eating outside on a patio or enjoying a nice baseball game in the sun? When you can do one, or the other, for FREE! 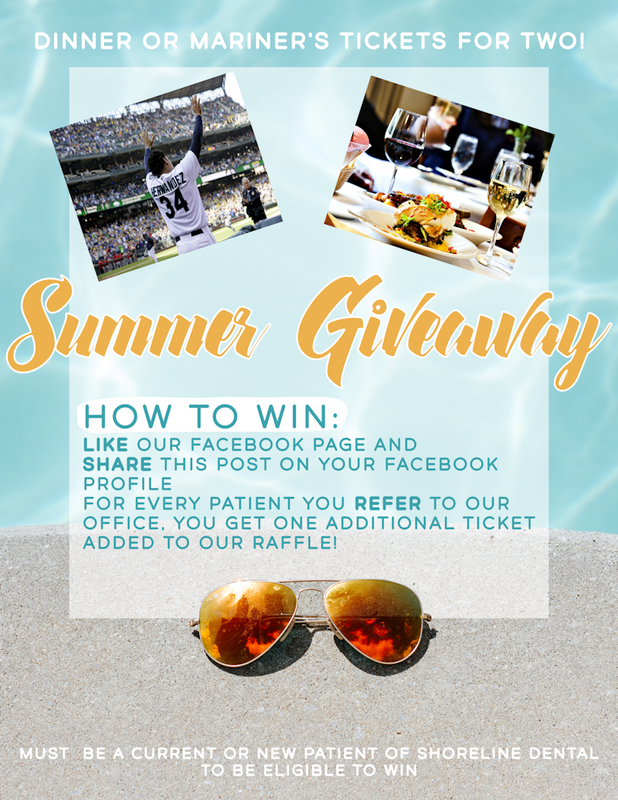 Enjoy a nice dinner or M’s game for two on us. 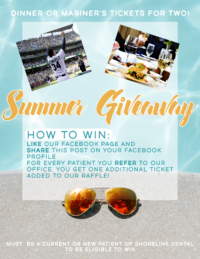 Also, if you have a competitive edge and want some leverage above your opponents, for every patient you refer to our office, you get one additional ticket with your name added into our raffle!